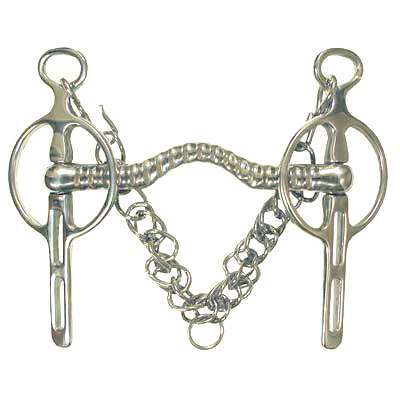 Treat your horse with this comfortable Driving Bit and go for a ride today. The Liverpool Low Port Driving Bit is one of the most popular ported driving bit. This bit is available in size 5 1/2'' and is made of premium grade solid stainless steel. Here at HorseTackNow.com we offer Liverpool Low Port Driving Bit and many other premium quality bits.